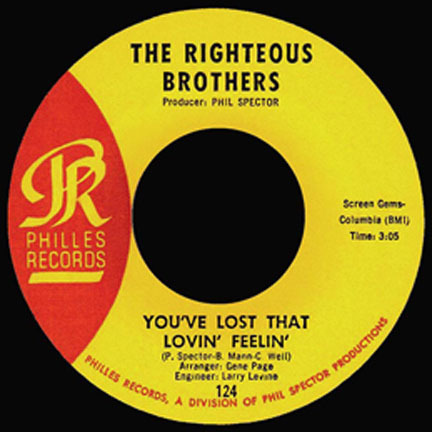 The song “You’ve Lost that Lovin’ Feelin'” by The Righteous Brothers is a good example of Sixties blue-eyed soul music. When love eludes us, it’s time to sing about it. “You’ve Lost tht Lovin’ Feelin'” was written by music business heavyweights Phil Spector, Barry Mann, and Cynthia Weil. Spector also produced the track. He used his infamous “wall of sound,” which is a dense recording and layering of many sounds so that they come across well on the radio and juke boxes. The strings were arranged by Gene Page and one of the background singers was a young Cher. Instrumentation is provided by the session musicians of The Wrecking Crew, which included Glen Campbell. The Righteous Brothers released it as a single at the end of 1964 with “There’s a Woman” on the B-Side. It was also on their album You’ve Lost that Lovin’ Feelin’. 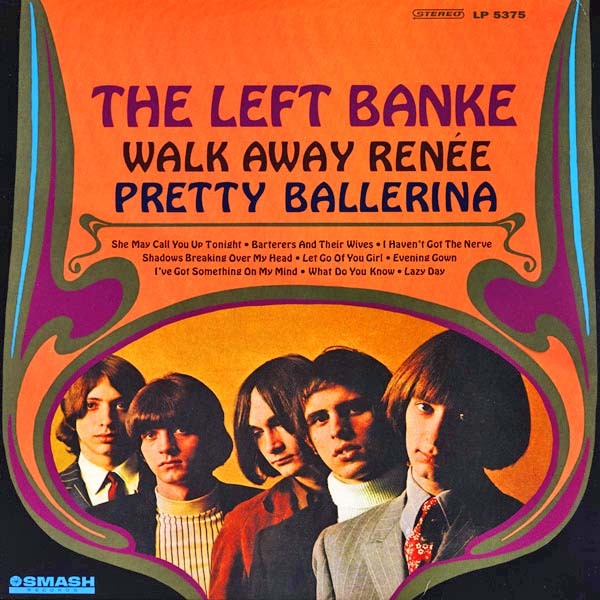 They had a hit with in 1965, and it topped the charts at #1 on the U.S. Billboard Hot 100 and the U.K. Singles Chart. It went to #2 on the R&B chart and in Ireland. “You’ve Lost that Lovin’ Feelin'” has been a very popular one or covers. Artists who have versions include Dionne Warwick, Hall & Oates, Cilla Black, Roberta Flack and Donny Hathaway, Long John Baldry, Glen Campbell, Barry Mann, Johnny Rivers, Elvis Presley, and The Beach Boys just to name a few. It’s also been a Karaoke favorite for those who like to get up and sing. The Righteous Brothers were Bobby Hatfield and Bill Medley. They formed in Orange County, California, and recorded from 1963 to 197. 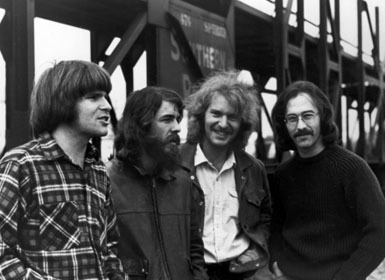 They continued to tour and perform until Hatfield’s passing in 2003. Both had tremendous vocal power, with Hatfield on the higher parts and Medley on the lower ones. Bring it on back (so bring it on back). The Pass the Paisley Groove Pad is a resting stop, a place to chill out and listen to the featured song on the stereo. If the mood strikes you, click on the juke box to access and listen to the 50+ commercial free online songs there. The TV has several channels, with selections updated twice a week. Every now and then, Pass the Paisley hosts an all-request of 1960s and 1970s songs for a Be-In at the juke box in the Groove Pad. Keep on truckin’. Hope you enjoyed “You’ve Got that Lovin’ Feelin'” by The Righteous Brothers.